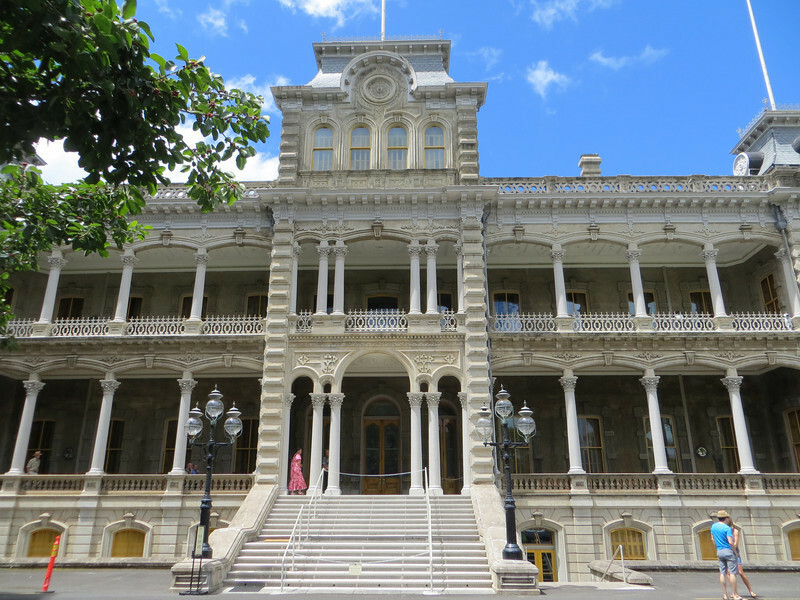 The woman in the traditional Hawaiian dress at the top of the steps was gathering groups for guided tours. They are led by docents. We took one and it was very interesting.